Kärcher HT 615 Bp 14421130 https://www.kaercher.com/uk/professional/outdoor-power-equipment/kaercher-ht-615-bp-14421130.html Powerful, robust and quiet, the Kärcher professional battery-powered hedge trimmer, operates with 65 cm cutting width and high blade speed for precise cuts. Ideal for noise-sensitive areas. 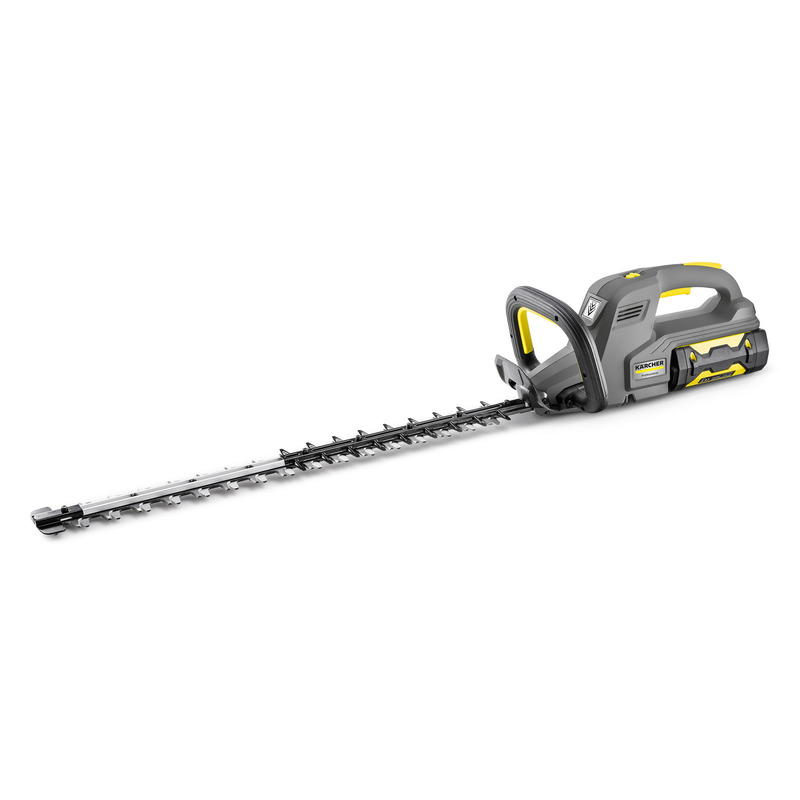 Powerful, robust and quiet, the Kärcher professional battery-powered hedge trimmer, operates with 65 cm cutting width and high blade speed for precise cuts. Ideal for noise-sensitive areas. Thanks to the innovative 50 Volt technology of our powerful lithium-ion batteries, the battery-powered hedge trimmer, HT 615 Bp, is extremely economical and also environmentally friendly. The device does not produce any harmful substances or CO2 emissions and also impresses with its low weight, vibration-free handling and quiet operation. Hence, this product provides an ideal solution for noise sensitive areas where operating noises must be kept to a minimum, such as parks, residential complexes, schools, companies and hospitals. 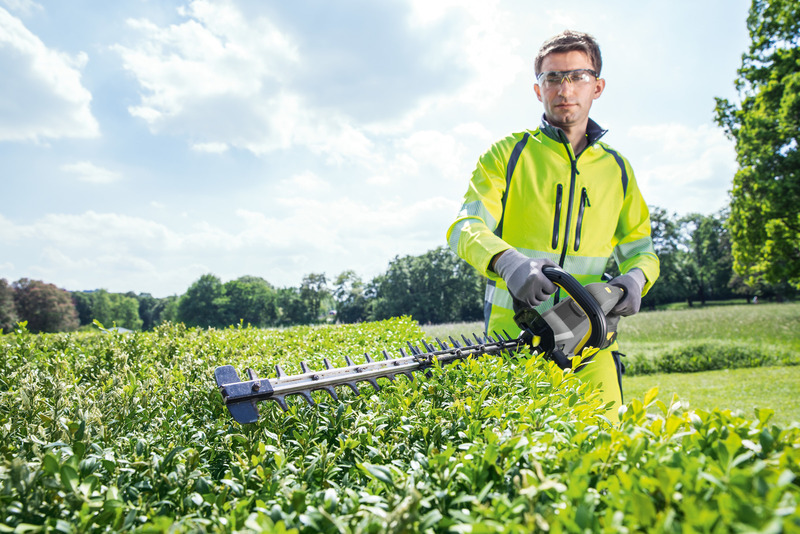 Thanks to the 2-stage control of the cutting speed, the HT 615 Bp can be easily modified to the respective task for hedges, shrubs, bushes and trees. Please select the battery appropriate for your requirements separately, as well as the relevant battery charger.